Attention all fur moms and dads. 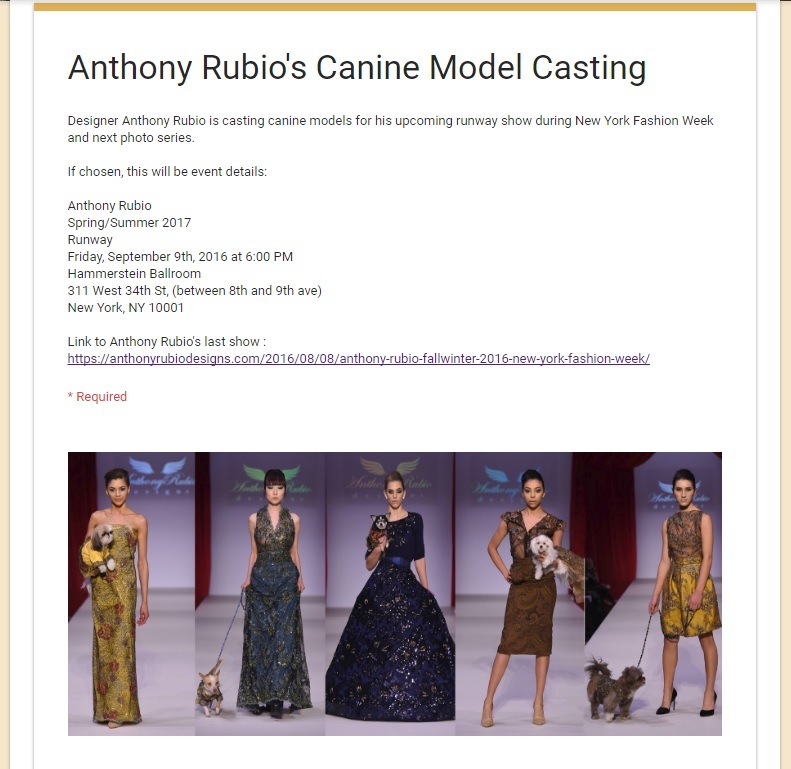 Here’s your special chance to have your dog walk the runway in my show Anthony Rubio Designs at New York Fashion Week next month. .
Open to all, Share, Tag etc. – So tag Your Favorite Dog! 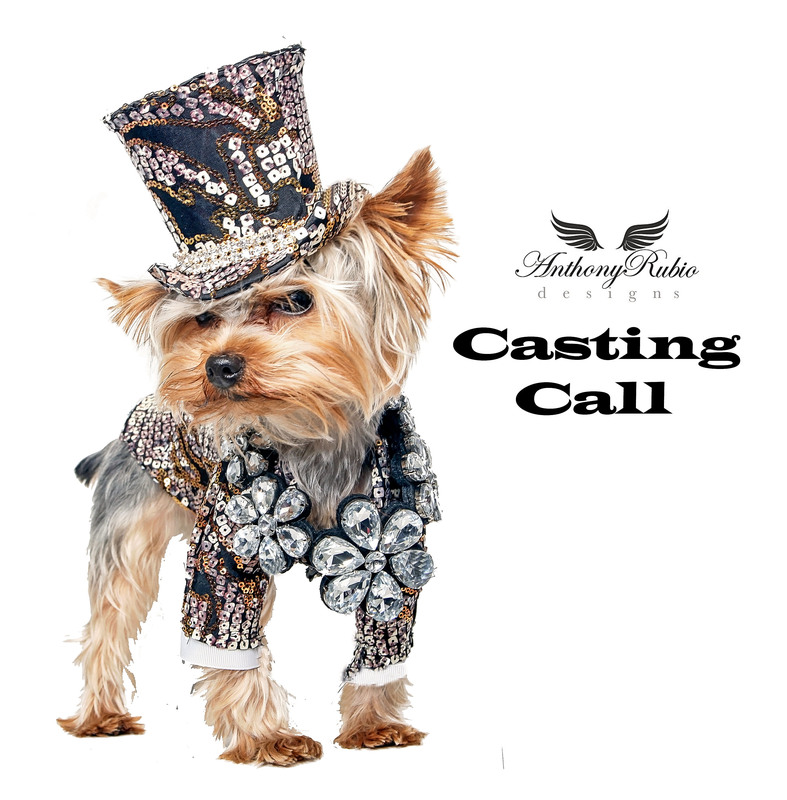 If chosen, Event date is September 9th, 2016 at 6pm.